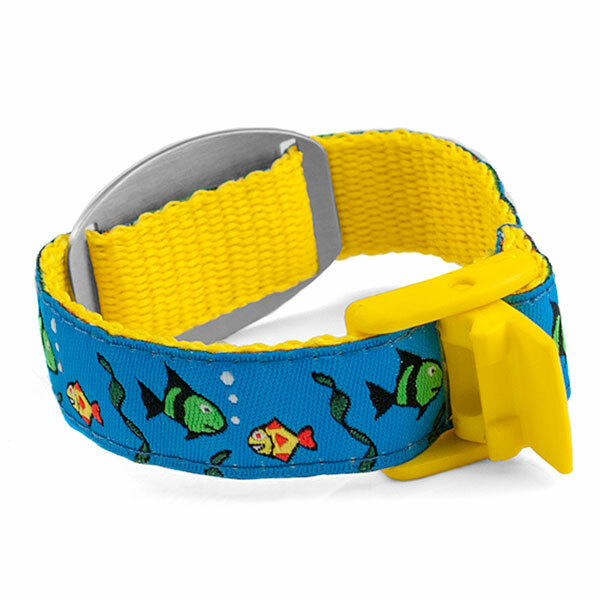 This is the perfect bracelet for kids who love to go fishing or just love sea life. Fits wrist sizes 4 to 8 inches. Once you snap the clasp, remember to tuck remaining length of the bracelet inside touching the wrist. 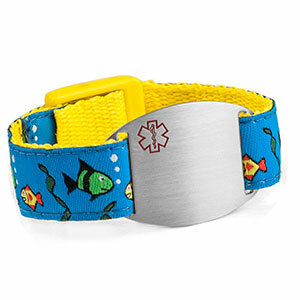 Polyester strap makes it easy to wash and wear.